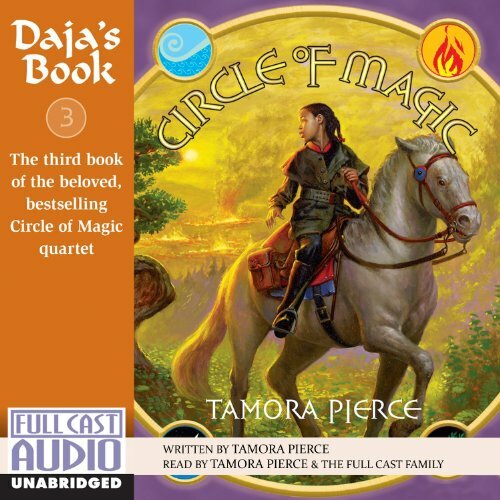 Showing results by author "Tamora Pierce"
During a dire battle, Daine and her mentor, Numair, are swept into the Divine Realms - where gods and legends roam. Safe for now, they are desperately needed back in the land of mortals, where their old enemy, the Emperor Ozorne, and his army of strange immortal creatures are waging war against Tortall. Through her journey to the land of the gods, Daine comes upon incredible truths. But as the secrets of her past are revealed, so is the treacherous way back to Tortall. And so Daine and Numair must embark on an extraordinary journey home. 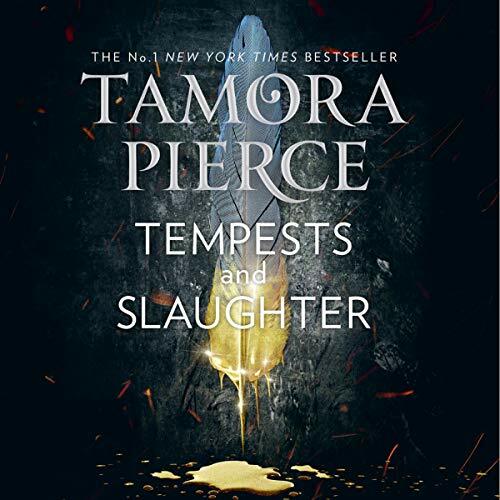 In Tempests and Slaughter, fans of Tamora Pierce will be rewarded with the never-before-told story of how Numair Salmalín came to Tortall. 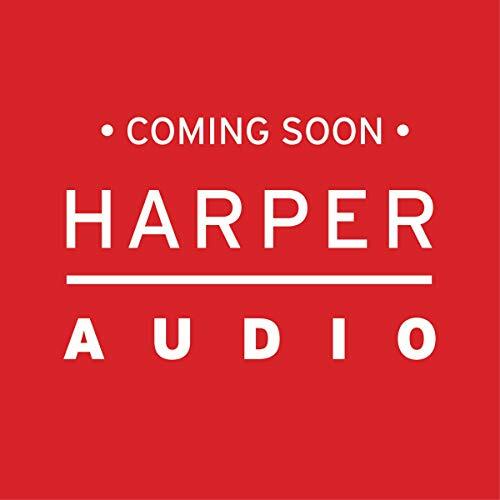 Newcomers will discover an unforgettable fantasy adventure where a kingdom's future rests on the shoulders of a young man with unimaginable gifts and a talent for making vicious enemies. 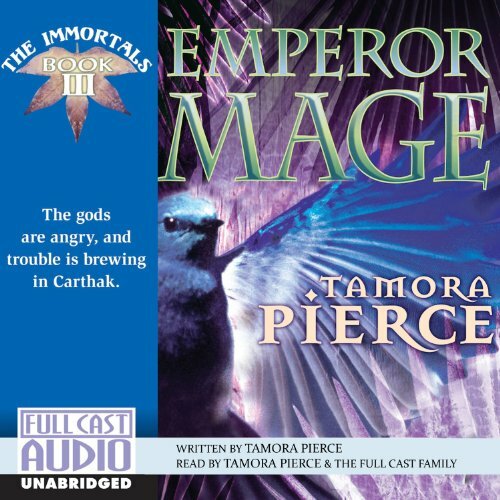 In the ancient halls of the Imperial University of Carthak, a young man has begun his journey to becoming one of most powerful mages the realm has ever known. Arram Draper is the youngest student in his class and has the Gift of unlimited potential for greatness...and of attracting danger. Daine Sarrasri’s power is growing, and her bond with animals is ever stronger. Along with her mentor, Numair, and a delegation from Tortall, Daine is sent to the Emperor Mage of Carthak in hopes that she can help to smooth international relations between their lands before discord bubbles over into war - by helping the emperor’s ailing birds. But Carthak’s emperor Ozorne is charmingly treacherous and Carthak itself built on the labour and suffering of slaves. 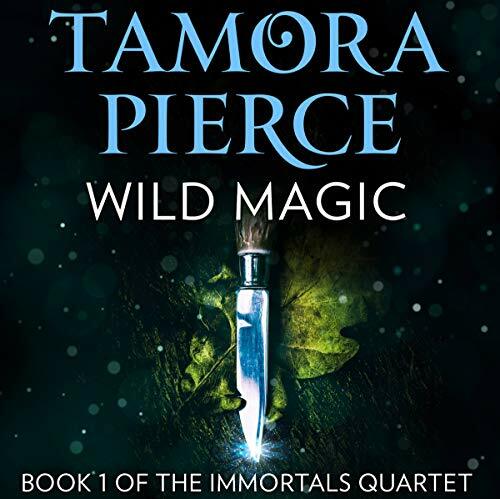 When Daine comes down from the mountains, she carries with her two things: a dark secret about her own past, and a strangely powerful magic that even she doesn't understand. 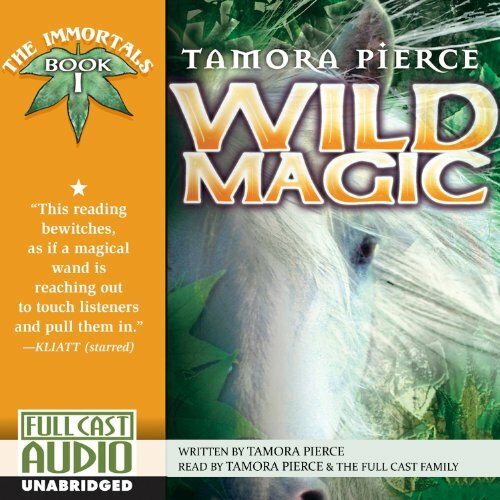 Daine has wild magic: the ability to talk to and sway the actions of animals. 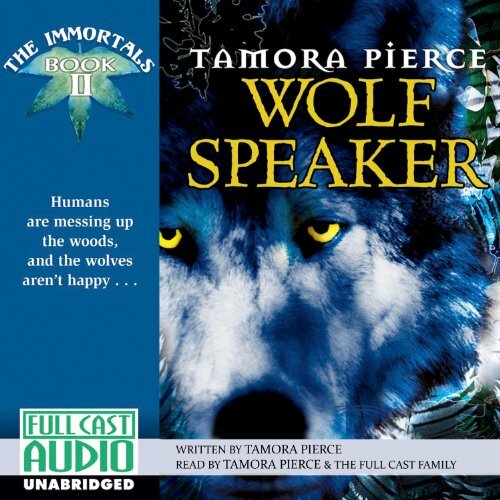 When Daine is summoned to help a pack of wolves - friends from her old village - she and her mentor, the legendary mage Numair, travel to Dunlath Valley to answer the call. But when they arrive, Daine learns that it’s not only animals whose lives are threatened; people are in danger, too. Daine has always had a special connection with animals, but only when she’s forced to leave home does she realise it’s more than a knack...it’s magic. With this wild magic, not only can Daine speak to animals, but she can also make them obey her. Daine takes a job handling horses for the Queen’s Riders, where she meets the master mage Numair and becomes his apprentice. Under Numair’s guidance, Daine explores the scope of her magic. But she encounters other beings, too, who are not so gentle. Kel will not allow this first test to be her last. 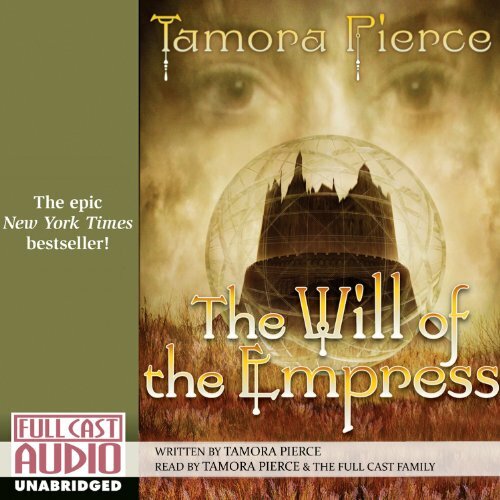 The adventure begins in the New York Times best-selling series from the fantasy author who is a legend herself: Tamora Pierce. A powerful classic that is more timely than ever, the Protector of the Small series is about smashing the ceilings others place above you. 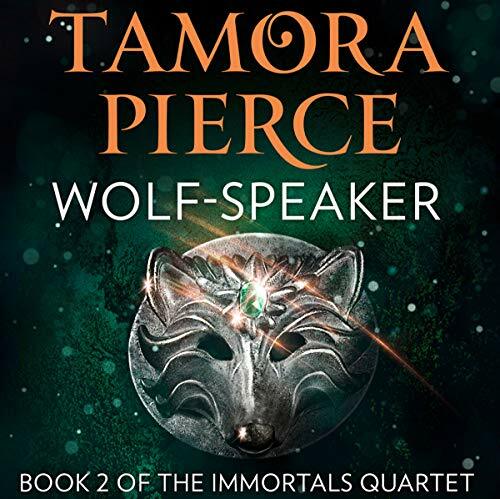 When a battle with death-dealing Skinners catapults Daine and her mentor, Numair, into the divine realms the riddles of Daine’s past finally begin to reveal themselves. 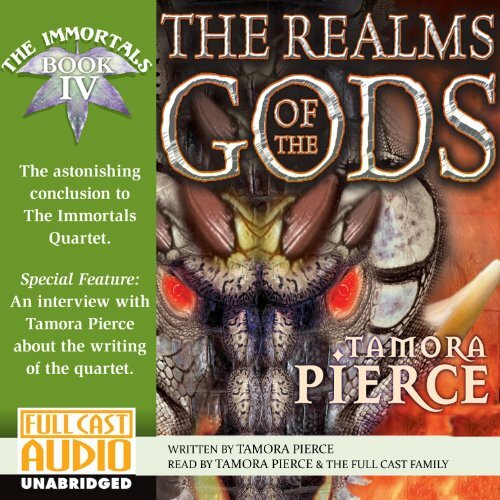 However the pair must return to their beloved Tortall, for the kingdom is under attack and survival depends on Daine’s wild magic.A harrowing journey across the divine realms leads Daine and Numair through danger to dragons; to a breathtaking confrontation with their great enemy Ozorne; and finally brings Daine face to face with the Great Gods, who will force the girl to make the most important decision of her life. When the wolves of Long Lake call, Daine must use her powerful ability to communicate with animals to save them from an ecological disaster. Evvy, the fierce young stone mage introduced in Street Magic, has accompanied her guardian, Rosethorn, on a mission to study a mysterious plant die-off. With the help of Luvo, who is the living heart of a mountain, Evvy discovers the real source of the threat, which is far greater than anyone had imagined. Preventing a natural disaster may cost Evvy her life. 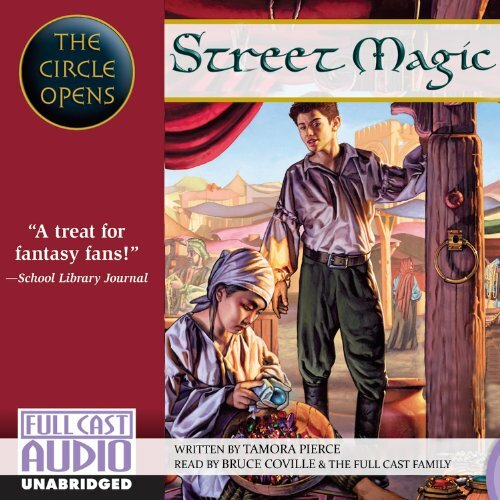 When four strange, and strangely talented, youngsters are brought to Winding Circle by master sorcerer Niko they find themselves drawn together in a Circle of Magic - a circle that binds them despite their differences. 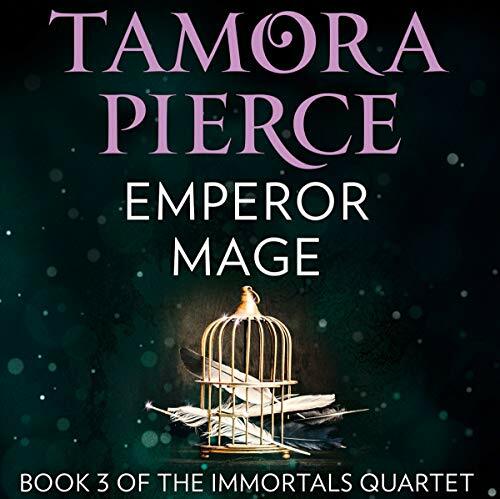 On a journey to Gold Ridge, the four young mages-in-training, Daja, Sandry, Tris, and Briar, find their special magics overlapping, sometimes in frightening and destructive ways. One burst of this combined magic leads Daja to create an astonishing vine made of living metal. 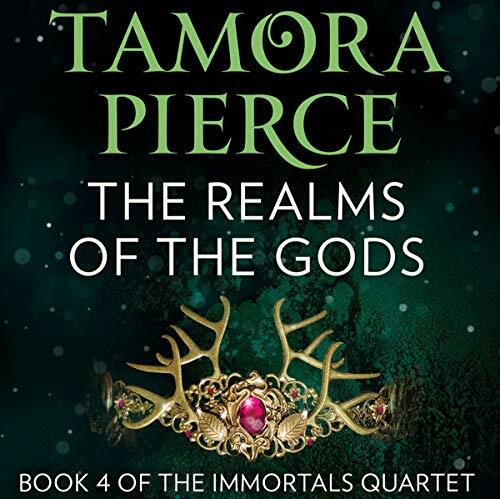 In this third volume of the popular Immortals Quartet, Daine enters a glittering world laced with danger and treachery, a world that grows more intense when the gods themselves push her to use her wild magic for their own ends. 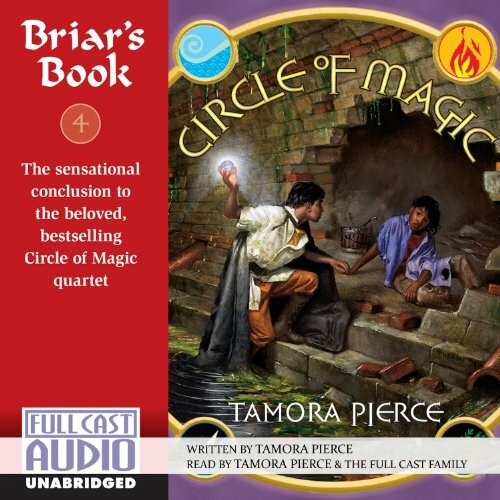 Briar Moss and his fellow mages-in-training Sandry, Tris, and Daja, have faced earthquakes, pirates, and fire. But their greatest challenge is still ahead. It comes in the unexpected form of a disease, a devastating plague that is ravaging the citizens of Emelan. 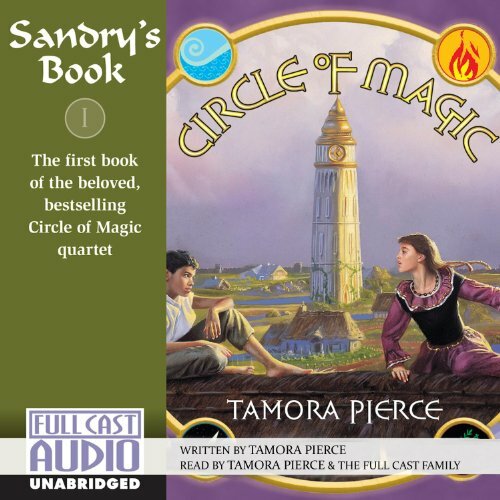 The four young mages, Tris, Sandy, Daja, and Briar, are just starting to settle into their new home at Winding Circle Temple. 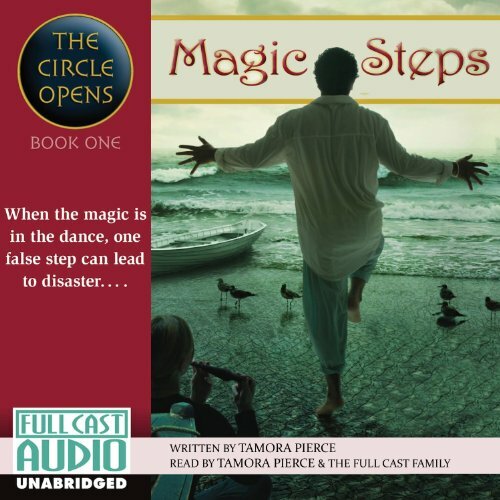 But even as they struggle to cope with the powerful magic that binds them together, Winding Circle comes under attack by pirates armed with fierce new weapons. Briar and Rosethorn are in ancient Chammur, where Briar gets involved in a war between street gangs at the same time that he ends up trying to train a young stone mage he has discovered. 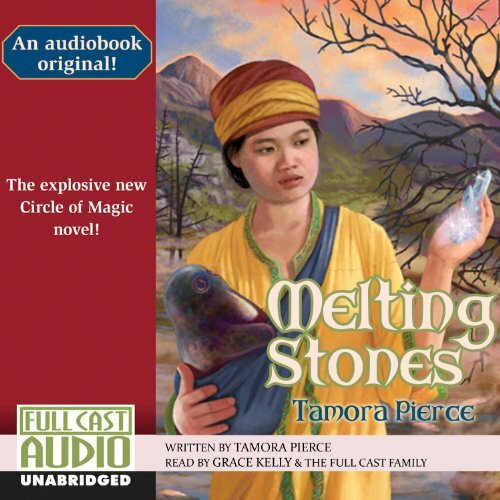 Intrigue, adventure, humor, nastiness, all set against a fascinating culture, this is classic Tamora Pierce. For years, the Empress of Namorn has pressed her young cousin, Lady Sandrilene fa Toren, to visit her vast lands within the Empire's borders. Sandry has avoided the invitation for as long as it was possible. Now, Sandry has agreed to pay that overdue visit. Sandry's uncle promises guards to accompany her. But they're hardly a group of warriors! 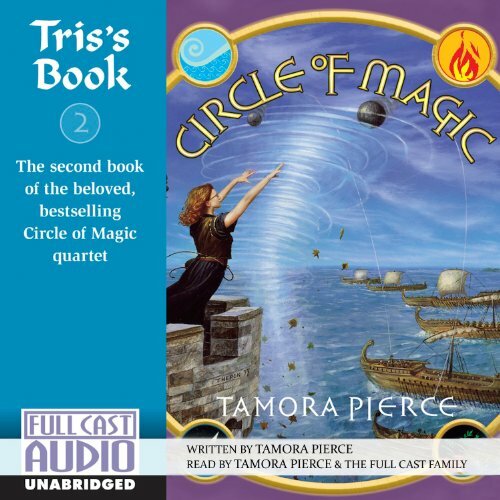 They're her old friends from Winding Circle: Daja, Tris, and Briar. Sandry hardly knows them now. They've grown up and grown apart. A powerful classic that is more timely than ever, the Protector of the Small series is about smashing the ceilings others place above you. As the only female page in history to pass the first year of training to become a knight, Keladry of Mindelan is a force to be reckoned with. But even with her loyal circle of friends at her side, Kel’s battle to prove herself isn’t over yet. She is still trying to master her paralysing fear of heights and keep up with Lord Wyldon’s gruelling training schedule. Keladry of Mindelan dreams of becoming squire to the famous female knight Alanna the Lioness, but she worries that she will not be selected by her hero - perhaps not by any knight master. When Kel is picked instead by the legendary Lord Raoul, the unexpected honor shocks her enemies across the realm. Kel must quickly prove herself up to the task, mastering her fighting and leadership skills while discovering what it takes to be part of the royal guard.